At Clean Planet, we were delighted to see the Swachh Bharat initiative. For the first time cleanliness has been given the attention it deserves. It’s been amazing to see people from all walks of life take up a broom and be willing to clean a public space. Our take on this is that – the reason why so many people have had to take up a broom is because there is litter on the streets that should not be there in the first place. Given that there is tons of litter all over India there is definitely a need to clean up public spaces. But, thereafter unless we refrain from littering-we will find ourselves in a situation where we either we have to take up a broom every week end or we live in a dirty country. Swachh Bharat requires a change in the mindset of India. We have to be Swachh 24x7. 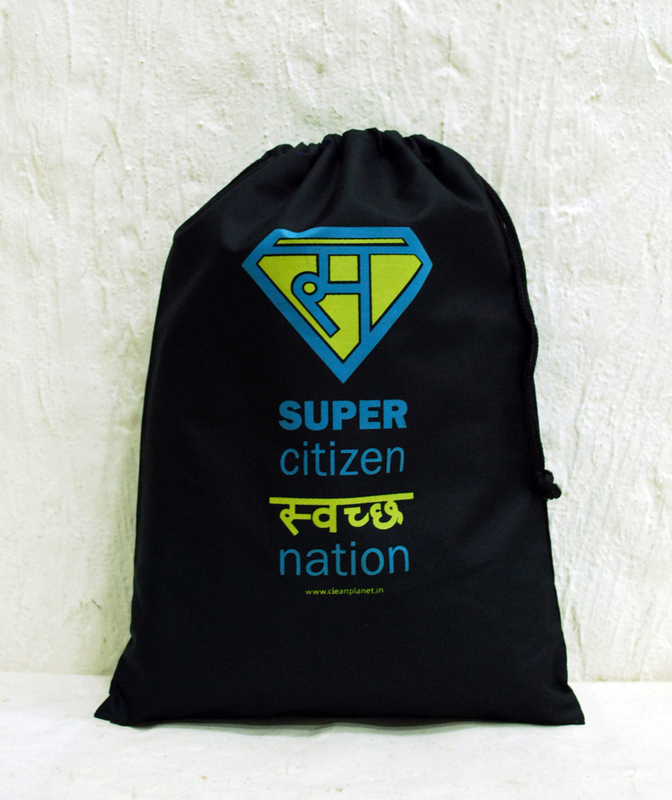 The Swachh Citizen bag is an invitation to each citizen of India, to bin the littering habit and help create a clean India.